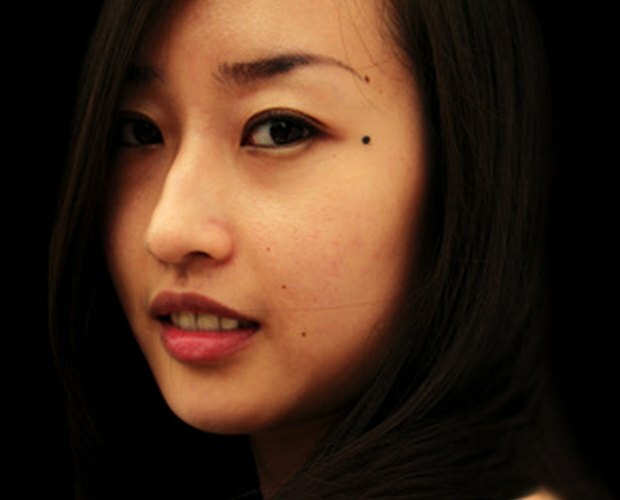 A defined almond eye shape is the starting point for all Asian character looks. Creating these simple eyes lends authenticity to basic outfits, such as those for martial arts costumes. Adorning eyes with glitter, lashes and color completes theatrical attire. From geisha girls and Madam Butterfly to belly dancers, eyes are always the key focus to perfectly complement any Asian character costume. You can create Asian eyes with regular makeup bag staples, from natural to smoky and dramatic. Apply eye base from lashes to brow. You need to blend this well in a fine, even layer to give the visual effect of slightly flattening the eye socket and highlighting eye shape. Blend a light-colored, matte eye shadow over the whole eye area, from lashes to brow, to further lighten the eye socket. Use a soft, fat brush so that there are no harsh lines of product around the eye. Sweep liquid liner along the top lash line, close to lashes. Extend this outward to create the illusion of an almond eye shape. Men could use an eye pencil for a softer, less made-up look. Use a single coat of black mascara to define top lashes only, sweeping them outwards when applying the product. Comb brows into a neat, slanted shape. Pluck any stray hairs to give a clean line. 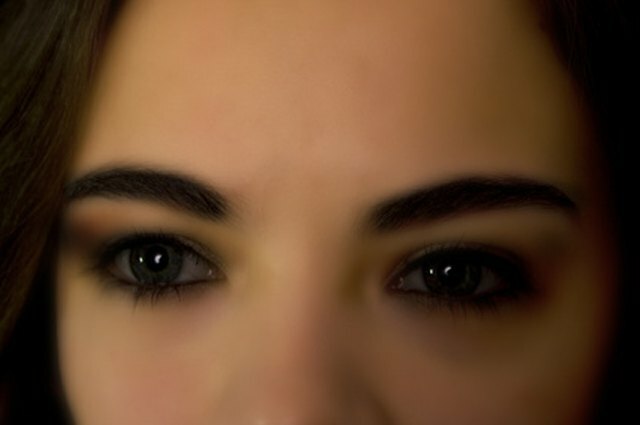 Darken brows, if necessary, using a little black eye shadow combed through with a firm-bristle brow brush. You can also shape brows with the shadow and make them more slanted or angular. Fix brows by sweeping clear brow gel though them. This adds clean definition and ensures that your costume makeup lasts. Traditional Japanese and Chinese costumes suit colors that you might not usually associate with eye makeup. Try reds and pinks blended over a heavy white base. Use liquid liner to line the whole eye for a painted Asian doll effect. 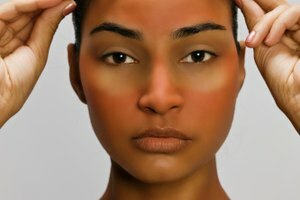 Indian eyes, which are a rounder almond shape, require less light-colored eye base. For a belly dancer's costume or sari, do a heavy smokey eye by lining the inside and outside of the eye with kohl pencil. Then blend colored eye shadow over this, and over the whole lid section for a sultry Indian look. Costume eyes look fabulous with false lashes. Apply these with lash glue, as a last step, when other eye makeup is finished. You can also use lash glue to fix diamante, chunky glitter or sequins to complete an adorned costume eye. This looks particularly good on the outer corner of eyes or above brows, in keeping with Asian tradition. If using contact lenses as part of your costume, always put these in first and then apply makeup. Apply eye makeup after getting dressed to avoid product staining a costume.